There are over 150 different bits and pieces that make up the entirety of the foot. The biggest of the bones is the heel bone, connected to the toes by the plantar fascia, a band of tissue that stretches along the bottom of each of your feet. With so many different parts down there, it’s no wonder so many things can cause pain. When this pain occurs on the bottom of the heel, there are three common culprits: stone bruises, plantar fasciitis, and bone spurs. Through overexertion (too much running and jumping in poor supportive footwear) or just unfortunate accidents, you can damage the tissue under the bone. A stone bruise is just what it sounds like—you step on something hard and bruise the fat pad. You may or may not be able to see any discoloration, but like all bruises, these usually clear up if you give it some time and don’t poke it. Plantar fasciitis is a little more difficult. The plantar fascia becomes inflamed because of exertion over an extended period of time. In most cases, people who develop plantar fasciitis tend to have ill-formed arches (too flat or too arched); don’t wear proper shoes in necessary circumstances; or are obese. The pain is generally in the center of the heel, gets worse over time, and is especially painful right after waking up (because it has been at rest all night, and the first steps stretch it out). The arch of the foot may also be painful. Bone spurs (or heel spurs) are calcium deposits that pop up when plantar fasciitis goes on for a long time without being treated. Straining other muscles and ligaments in the feet may also lead to spurs. They appear when those tissues are repeatedly strained and torn away from the bone. Sometimes, you’ll feel pain at the back of the heel instead of underneath it. In this case, the Achilles tendon is the most common culprit. Achilles tendinitis is quite similar to plantar fasciitis, except for its placement. 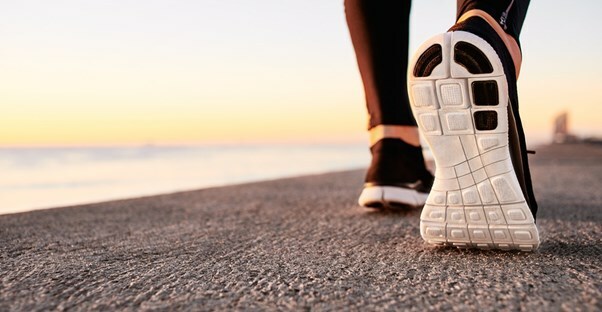 Over time, running and other foot-strenuous activities can stretch the tendon too much, causing strain, tearing, irritation, and eventually inflammation and pain. This too can result in a bone spur. Pronation is the movement the foot makes as it steps. The heel usually hits the ground first, and then the middle bones go in and down, or pronate. The weight goes to the outside of the foot, and then to the big toe. When there is too much inward motion, the tissues become stretched too far, and the tendons and ligaments at the bottom of the back of the heel are strained. The achilles tendon should run straight down the ankle; excessive pronation may cause the ankle to turn farther out than it should, twisting the tendon outward. This makes all the muscles and tissues all the way up the leg begin to twist as well, causing problems in the ankles, knees, hips, and even the lower back.